To deliver the key-note address in a seminar with such a majestic title1 is an uphill task. The topic touches so many areas of such vast dimension that it call for a person of encyclopedic erudition, which I do not possess. So, instead of addressing each and every aspect of this grandiose title, I prefer to deal with the first only, namely, basic values. The two other aspects, 'Indian culture' and 'national reconstruction', may at best for the backdrop. In the third century BCE India witnessed an emperor with a difference, Asoka. Following his change of heart after the Kalinga war, and his conversion to Buddhism as an Upasaka (a lay follower of the Enlightened One) he overhauled the whole system of his empire. He made his intention clear: he would not be like other emperors who extorted as revenue one-sixth of the products of the fields from his subjects but did nothing in return for their well-being. Asoka acknowledged the debt an emperor owed to his subjects by providing public works, such as, planting trees and groves along the roads, digging wells at regular intervals and building sheds for providing drinking water to men and animals. Asoka viewed all his subjects, irrespective of the sect or community they might belong to, as his children. He introduced the system of dispatching people’s business at all times and places. Although a Buddhist himself, he did not promote his own faith only. He rather urged the members of all sects to respect one another’s creed. Only in one of the edicts he uses the term dhamma in the sense of the Buddhist doctrine. In all other edicts dhamma stands for a set of moral lessons. This is why in the Greek edict dhamma, in the absence of an exact equivalent, is translated as eusebeia, ‘piety’, and in the Aramaic edict as qsyt, ‘truth’. Non-injury, self-restraint and obedience to the superiors constitute the basic elements of his concept of dhamma. That this dhamma is universal in import is shown by the fact that Asoka does not propagate Buddhism either in its philosophical or in its theological aspects. It is to be noted that no edict ever refers to the concept of Salvation (nirvana), the Four Noble Truths (aryasatyas), the Eightfold Path (ashtangika-marga) or even the Middle Way (majjhima patipada). The only theological aspect mentioned is the attainment of heaven and happiness in the next world as the highest goal of human existence. Although he often speaks of the Buddhist Sangha and its inmates, the Bhikkhus or Sramanas, he confines himself to the performance of dhamma in social life alone. Fear of sin and love of dhamma as well as self-examination were required for reaching the goal. Yet Asoka was not a social revolutionary. He did not call for the abolition of economic disparity, or equal rights for both free persons and slaves – leave alone abolition of slavery. Even then, within the limits of the circumstances prevailing in Magadha of his times, what he preached and practised himself did have beneficial effects then and even afterwards. He was the first and so far the last ruler in India or anywhere else who believed in a value-based system of administration. More importantly, he devised the plan of disseminating right ideas among the masses rather than subjecting them to superstitious beliefs and ruling over them by extolling the supposed divine right of the king. These are the basic values, thoroughly anti-Machiavellian in spirit, which Asoka upheld so many centuries before. In India today, torn in all conceivable sorts of conflict, particularly religious, and threatened by the dark clouds of market economy, consumerism, and cut-throat competition, we can do no better than to follow that great emperor who advised moderation in regard to expenditure and accumulation of wealth. He promoted courtesy in social life and set up the model of amity. Let it be remembered that he condemned gatherings called samaja in which people indulged in drinking and orgies, resulting in crimes and excesses. National reconstruction can never be completed without fostering these values and focussing on plain and honest living. Asoka’s greatest contribution, in the words of D.D. Kosambi, the historian who understood him so well, was to provide the first Bill of Rights for the citizens. His idea of ‘rule by equity’, suitably amended to correspond to the present circumstances in India, I do believe, will still produce the best possible guideline for national reconstruction. 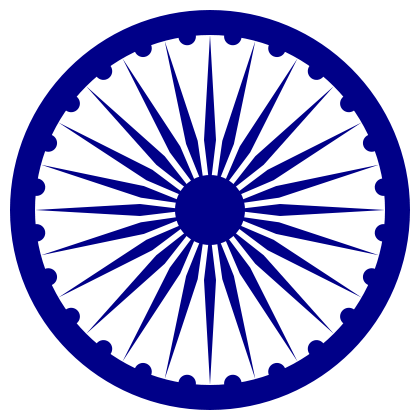 ‘It is altogether fitting,’ said Kosambi, ‘that the present Indian national symbol is derived from what remains of the Asokan lion-capital at Sarnath.’ Obviously he means the Asokan wheel (asoka-chakra) that is placed in the middle of our national flag. Surely this cannot be enough. Asoka’s concept of dhamma needs to be translated into practice. 1 This is the Keynote Address delivered in a seminar on 20 November 2014, World Philosophy Day at Bankura Christian College (West Bengal). The topic of the seminar (Basic Values Embedded in Indian Culture and Its Relevance to National Reconstruction) was proposed by the Indian Council of Philosophical Research, New Delhi.